Telltale Games seems to have a knack for choosing just the right property at just the right time to develop into an ongoing series, and The Wolf Among Us seems determined to prove that theory. Hot on the heels of The Walking Dead‘s success comes this prequel tale to the critically acclaimed Fables comic book line from Vertigo, yet despite the sales pitch being reminiscent of Telltale’s previous works there’s signs that changes are a-coming. 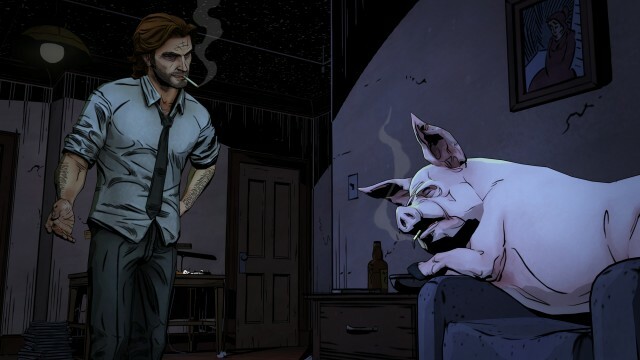 Set prior to the events of Fables, The Wolf Among Us puts the player in the shoes of Bigby Wolf, formerly “The Big Bad Wolf” and currently the hotheaded sheriff of Fabletown, the community around which the entire franchise revolves. Citizens of this town are the titular “Fables” and range from a cigarette-smoking pig, to a womanizing Prince Charming and a crafty espionage-inclined Cinderella. From the pitch, it seems in the vein of modern “fairy-tale” television and films (think Once Upon A Time, Hansel and Gretel: Witch Hunters, Snow White & The Huntsman, and so forth), yet with a distinctly seedier edge. Yet Telltale’s never been content with simply mirroring other forms of media, so why start now? The twist in The Wolf Among Us, at least concerning its design, is its morality system, a mechanic which Telltale refined with The Walking Dead. Take, for instance, their approach to crafting a relationship between Bigby and classic character Snow White. There’s great insight in giving the player the choice of examining some piece of evidence further, or following a figurative trail to its end, at the risk of alienating Snow. Fans of the series, Telltale claims, will be satisfied with the treatment of this dynamic, but it seems like it will be universally praised for the design quality. The deep choice-and-consequences mentality won’t end there, they continue. One key side character will receive an expanded role from the comics – the aforementioned habitually-smoking pig, Colin. As lead designer Ryan Kaufman puts it, “Colin’s the only character who can tell Bigby to his face that he’s being a monster.” Colin will, in essence, serve as the player’s conscience, chastising them for making one decision while also pushing them to think deeply about their actions. Choice also plays a role in moving from location to location. 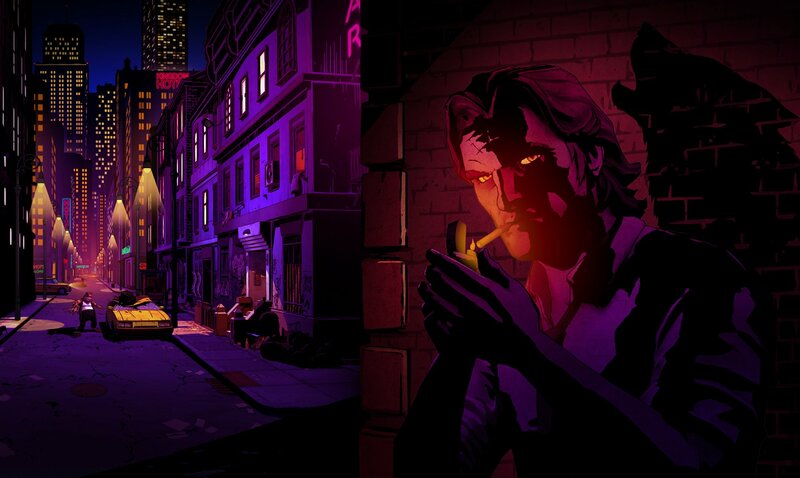 In The Wolf Among Us, Bigby will be offered freedom to visit different areas at different times, impacting how the game will ultimately play out. “To experience [the story] from a lot of different perspectives [and] to see what’s happening everywhere, all the time, you’re going to have to play the game multiple times, which is something we didn’t do in The Walking Dead,” says CTO and president Kevin Bruner. We’ll keep you updated on more news regarding The Wolf Among Us as it drops. In the meantime, feast your eyes on the gorgeous screenshots below and feel free post your thoughts in the comments.